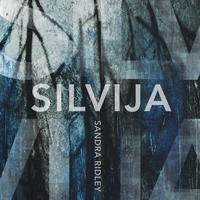 Our final interview in this year’s Griffin Prize special edition of The Chat is our conversation with Sandra Ridley, author of Silvija. 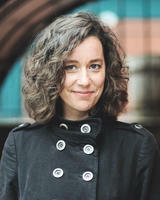 Multiple-award-winning poet, instructor and editor, Sandra Ridley is the author of three books of poetry: Fallout (winner of a 2010 Saskatchewan Book Award and the Alfred G. Bailey Prize); Post-Apothecary (finalist for the ReLit and Archibald Lampman awards); and The Counting House (finalist for the Archibald Lampman Award and chosen as one of the top five poetry books of 2013 in Quill & Quire's Readers’ Poll). In 2015, Ridley was a finalist for the KM Hunter Artist Award for Literature. She lives in Ottawa. Trevor Corkum: Congrats on being a finalist for this year’s Griffin Prize, Sandra. How does that recognition feel at this point in your career? Sandra Ridley: Thanks, Trevor. Honestly, I’m still in a state of disbelief coupled with cognitive dissonance. This can’t be happening. This isn’t happening. There are many remarkable books of poetry published each year and most of them disappear into the void. It would have been a challenging task for the jury to select and come to consensus upon any finalists, let alone to read all of the submissions. I’m honoured that Silvija made their cut. I also feel incredibly lucky. TC: The collection is a meditation on love and grief, a sequence of “five feverish elegies ... pulsing with the author’s signature blend of fervour and sangfroid.” How was the work born? Did you envision it as a complete collection as you began your work? SR: Unlike my previous books, which I approached as interconnected long poems from outset, Silvija was pieced together from fragmentary, isolated pieces that had been written over five years or so, each with seemingly disparate purposes and sources. These poems merged into a large sequence in the middle of a sleepless night. That night gave me some clarity. I saw how the separate parts could work together. They spoke to each other. All sourced from the same kindred impulse or origin; there was consanguinity. The poem “In Praise of the Healer” became a tether, as it had to, by weaving between the others—or think of it as a bloodline, a life sustaining breath from first gasp to last. If there’s a central, sustaining poem in Silvija, I’d like to think that’s it. TC: How would you define or describe your poetic practise, to someone who isn’t familiar with how you work? SR: It’s quite Frankensteinian. I read and read and compile long lists of words salvaged from strange and archaic sources. Eventually the words begin to speak to each other and fragments of poems coalesce. When they begin to become their own body with their own voice, I dismember these little monsters by printing and cutting them up. Then, thinking about space, silence, and sound, I slowly reorganize their components, ad nauseum. It’s like a surgical procedure with multiple infusions and graftings. TC: You also work in other creative forms, most notably photography. Can you tell us more about how working in other media, such as photography, informs your poetry? SR: With photography and poetry, I’ve learning about translating or transferring atmosphere, the emotional complex of a moment in time. They can (re)create responsive expressive vignettes, generating a sense of comfort or disquiet. In both, my work comes from the same impulse. I’m curious about how our mood is informed by our experience of place, or rather by the physicality of space. We’re shaped by it. TC: What’s your own litmus test for exceptional and important poetry? SR: There has to be a shift in my emotion. I want to feel something different than before reading the work. The poem needs to insist on that. The more my steady state is disrupted, the more I return to the poem. I’m drawn to what haunts me. I adore any kind of open work that asks to be read more than once, the kind of potent work that gives and gives with every reading. Wind caught nothing / your leaf unscrawled. the sadness of the subject. A fool could read the signs.